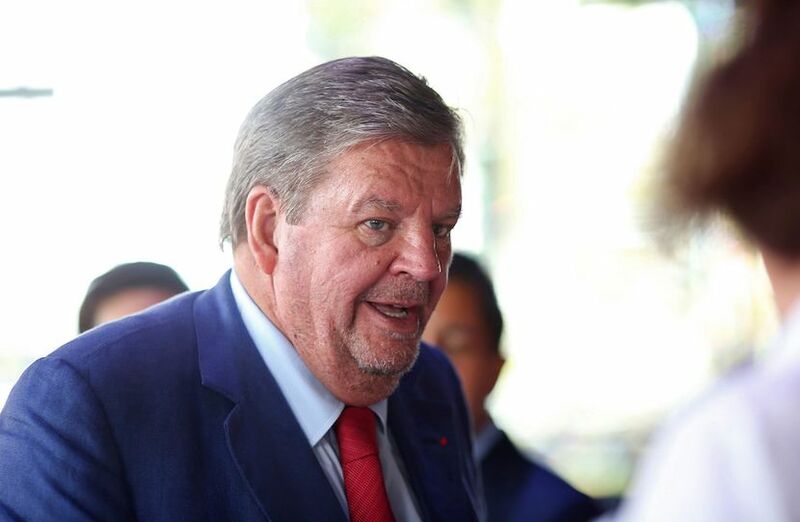 (Bloomberg) – Johann Rupert, South Africa’s second-richest man with a $6.3bn fortune, spoke out to defend the stranglehold white people still have over the economy more than two decades after the end of apartheid. He went on to name state-owned companies such as power utility Eskom Holdings SOC Ltd. that enjoy genuine monopolies. Meanwhile, he said his own companies – such as Swiss luxury goods maker Cie Financiere Richemont and Stellenbosch, South Africa-based Remgro Ltd. – pay dividends and taxes in South Africa and create jobs in the country, where more than one in four people in the labour force are unemployed. Racial inequality has long been a sensitive issue in South Africa, and Rupert’s comments predictably went down badly on social media. The opposition Economic Freedom Fighters, which argues for radical policies such as the nationalisation of banks and all land, called him a “selfish racist white capitalist.” In his interview, Rupert similarly dismissed the EFF, mocking the red berets worn by party members. Of the top richest South Africans listed by Forbes, the first five are white men. Rupert, the eldest son of an industrialist who founded tobacco company Rembrandt Group, trails only diamond heir Nicky Oppenheimer. The richest black South African is Patrice Motsepe, the owner of mining investment firm African Rainbow Minerals Ltd. At the other end of the spectrum, South Africa’s income inequality is among of the worst internationally and white people in the country make nearly three times the average wage of black Africans, according to a World Bank report. Johann Rupert is preaching ethics, the importance of innovation and hard work as an entrepreneur. We can replicate this ethos as young people, black and white. Let's leverage on the opportunities markets offer us! This #RupertOnPOWER #ChairmansConversation is good listening! Rupert’s Remgro holds stakes in South African companies such as hospital operator Mediclinic International Plc and drinks maker Distell Group Holdings Ltd.